A group of unwelcome visitors descends upon the school; MG uncovers a secret about his mother; Josie finds herself in a dire situation. Jo's return hits too close to home for Alaric; An unexpected betrayal causes tensions to boil over between Hope and Rafael. MG takes Landon and Raf on a trip to his hometown, but it has deadly consequences for one of them. 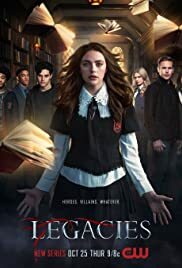 How many episodes of Legacies have you seen? I like the way they are handling the story, I like that they merged all of the werewolf, witch, vampire, stuff; instead of focusing only to one of them, they are using these creatures to probably fight a battle that is to come but together. I think the premise of the show is intriguing that they, these mythical creatures, are all somehow forgotten, and they are now coming back. Even though the first few episodes are a bit shaky, it definitely worth the watch and the time. 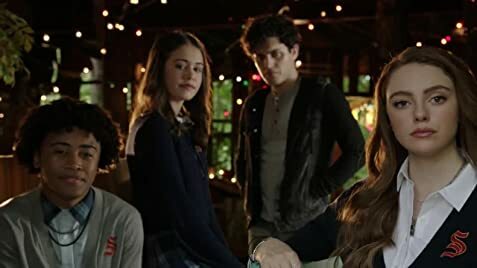 I personally cannot wait for a new episode because I want to know more about, why those creatures were forgotten, who did that, why are they coming back now. Last one is important because I think it can be connected with the existence of Hope. She is an impossible creature herself. You shouldn't go into this waiting for something like TWD or TO or waiting for cameos from those shows, they do happen but try to connect with the new characters. I like the references to those shows but these are the new generation.